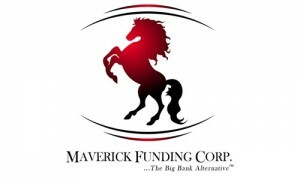 Maverick Funding Corp. (Maverick) is a licensed mortgage lender that provides personal and efficient lending services to its customers. Established in April 2007, Maverick is headquartered in Parsippany, New Jersey, and operates in 32 states throughout the United States. As a result of outstanding mortgage products as well as an experienced leadership team, expert operations staff, and a sales force that is focused on providing outstanding customer service, Maverick has experienced strong growth in spite of a challenging market. Having obtained FHA and Fannie Mae approval, Maverick has increased their staff from 20 in 2007, to more than 300 employees to-date, all of whom work together to meet the needs of borrowers wishing to purchase the home of their dreams or refinance their existing home. Maverick Funding Corp. remains true to its mission: To provide competitive mortgage solutions to its clients while maintaining the fastest loan closing rates in the industry.